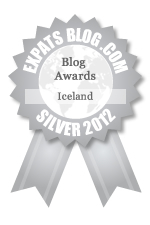 This entry was posted in Iceland, Travel and tagged Iceland, Reykjavik, Top 10, travel. Bookmark the permalink. Erica – this is a really good idea. I am sure lots of travellers will find it useful. Nice pictures too! Thanks so much for this. I’ll bookmark this for when I plan my trip! I want to go back! there is so much more to see and I too have a piece of my heart still there.